In a pleasant location that abounds with trees and flowers, treat yourself to an unforgettable family holiday at the seaside and explore the Marina d'Aléria campsite, where the Bastia and Porto-Vechhio roads meet. Its location in Aléria on the Corsican coast makes it the ideal base to explore traditional tourist sites in the surrounding area, such as the Aléria Museum and the lake, l'Étang de Diane. With a four-star rating, the Marina d'Aléria sits resplendent against a lush, green backdrop on the coast, and promises a stay full of relaxation and aquatic pleasures. With a peaceful, well-shaded and natural environment, this campsite is the perfect place to escape to for a break. There's no shortage of activities within the campsite and will ensure you have no time to be board. Enjoy tennis, table tennis, fishing, mini-golf and beach volleyball without a second thought! In peak season, the kids' club will welcome your kids and offer them activities to allow them to have fun and learn at the same time. Take advantage of the wide variety of services offered on site, including the grocery store, laundry, pizzeria, bar, and internet access. Comfortable accommodation, a location to help you get away from it all, and a warm, family atmosphere! Everything has been designed to ensure you have a pleasant stay at a campsite that's full of surprises. If yo haven't experienced Corsica yet, book your campsite and your ferry or plane tickets now! The island is practically a continent in its own right, offering all kinds of panoramic views that can be imagined: sea, mountains, historic towns and villages, rustic countryside and Mediterranean city atmosphere. This explains why those who travel a lot don't hesitate to return as much as they can. Moreover, Aléria is strategically located to serve as a base to explore this extraordinary location. The community, founded by the Greeks six centuries before the birth of Christ, is located on the border of Upper Corsica and southern Corsica. 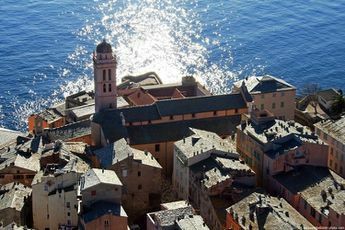 Its central location makes it possible to plan excursions to Bastia in the north (75 minutes away by car), or to Ajjacio in the south (2h 15 min away by car). In Aléria, you'll find ruins of the ancient settlement as well an archaeological museum. In the surrounding area, Lake Diane, which is famous for its shellfish, and Urbino, another stunning natural site. 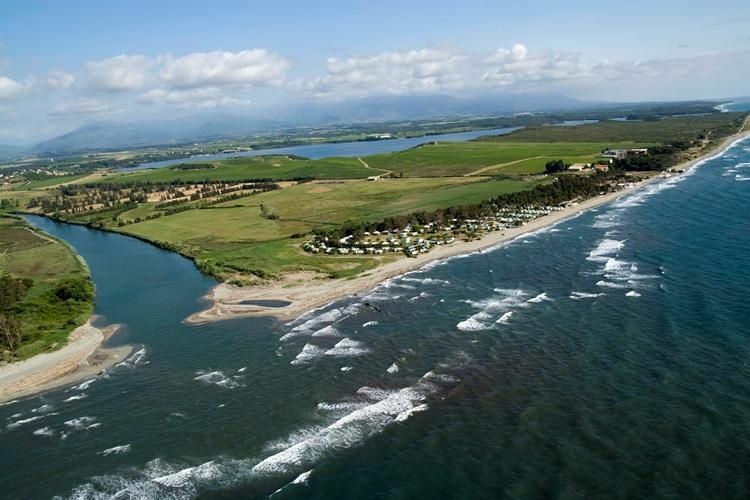 The neighbouring regional nature reserve offers superb walks with forests, springs, and hiking trails over a preserved area with more than 330,000 hectares. It's also an opportunity to discover some of the 2,000 plant species that inhabit the island, which also has its own, unique flora and fauna. The Lavezzi Islands, where nearly 70 fish species have been identified, as well as the islands Finnocchiarla and Scandola, are possible destinations. In the south, plan to visit Porto-Vecchio, the "city of salt" for its salt marshes and old houses. Then, keep going as far as Bonifacio, a superb, ancient city with houses piled up at the cliff edge with breathtaking views over the Mediterranean and the sea caves that can be explored by boat. Take the little train to visit the town, with its tourist atmosphere, and delight your children. Also take the opportunity provided by your stay to discover the extensive local cuisine, including prisuttu (a delicious, thin ham made from half-wild pigs), figatelli (liver sausages), chestnut polenta, wild boar stew, brocciu sheep's cheese, langoustine, aziminu (Corsican fish stew), without forgetting Corsica's famous wines. Welcome to paradise!